In the spirit of the holidays, Special Olympics Iowa is featuring 12 Days of Athletes throughout the month of December. In honor of these amazing athletes, please consider making your year-end donation to Special Olympics Iowa. If your donation is received by December 31, it will be DOUBLED! Gifts on #GivingTuesday (Dec. 1) will be TRIPLED! What does Special Olympics mean to you? Special Olympics means that I get to meet new people. 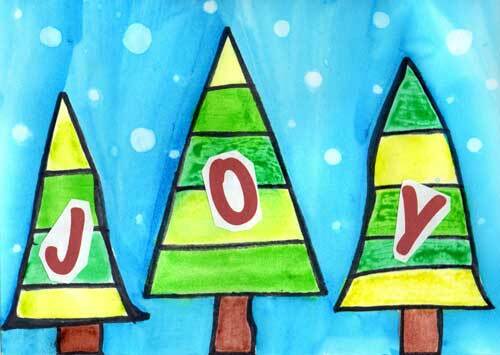 What is your favorite part about the holiday season? I get to see my family. Rachel Bosworth has been named the Law Enforcement Torch Run (LETR) Marketing and Event Coordinator for Special Olympics Iowa. She began her position in November. She will help coordinate LETR events such as Cop on Top, Final Leg, Over the Edge, Pigskin Madness, Polar Plunges®, Tip a Cop and more. Bosworth graduated from Coe College in 2015 with a degree in business administration and public relations. 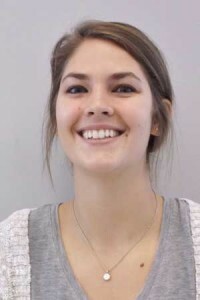 She has previously worked with the Alzheimer’s Association as a community outreach and events intern and with The Blue Zones Project as a marketing intern. She has a volunteer history with Special Olympics, helping at Summer Games during her middle school and high school career. Please join us in welcoming her to the state office team! 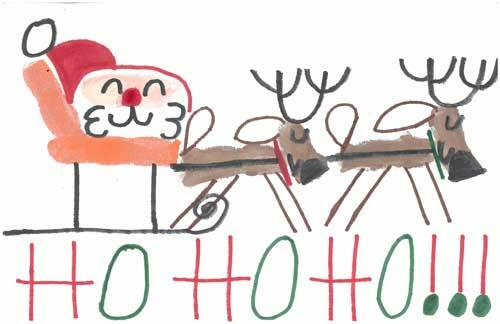 Thank you to all of our amazing athletes who submitted designs for our 2015 holiday card! We had a record number of entries this year and we loved them all so much, we could not pick just one! The first artist selected was Tasha Conklin, a 23-year-old athlete from Sergeant Bluff. She was so excited her artwork was selected, that she feels like she won another Special Olympics medal! The second artist selected was Tomi DeGrado from Marshalltown, who is also 23 years old. She created her design using thumb art, which she often does for cards and thank you notes. Congratulations to Tasha and Tomi! Artwork above by Tasha Conklin. Artwork below by Tomi DeGrado. It is with great excitement that Special Olympics Iowa has opened two Endow Iowa agency funds. These funds demonstrate an investment in the athletes of both today and the future athletes of tomorrow. An endowment fund is an investment fund held at a community foundation where the earnings are used as a source of income for the organization. There are currently two Endow Iowa agency funds: one held at the Community Foundation of Greater Des Moines and one at the Community Foundation of Greater Dubuque. These two funds provide donors additional benefits through the Endow Iowa Tax Credit and will continue forever as a source of income to help with the growing number of athletes that Special Olympics Iowa continues to serve. If you have any questions or would like information on how to give to these funds please contact Stuart Steffy (ssteffy@soiowa.org) at the state office. 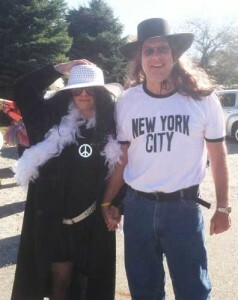 Mitchell Betsworth (left) and his dad, Troy, dressed as Yoko Ono and John Lennon for the 2015 Siouxland Polar Plunge. Plunging for a Purpose has taken on a whole new meaning for the Betsworth family. Mitchell Betsworth has been a Special Olympics Iowa athlete since junior high and now at the age of 20, completed his sixth Polar Plunge®. “I love running into the water,” Mitchell says. 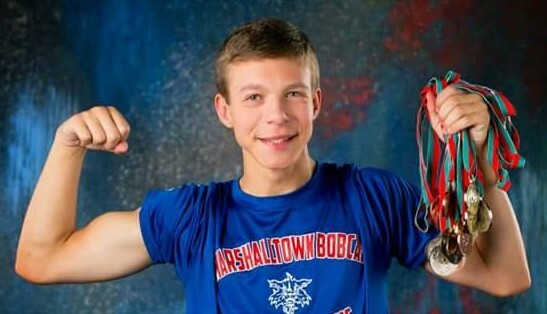 Mitchell is a member of the Sioux City Knights, which had 10 athletes on three different plunge teams participate in the 2015 Siouxland Polar Plunge® on Oct. 24. The teams raised more than $18,500 for Special Olympics Iowa. But, the tradition of the Polar Plunge® began long before the Knights were formed. Because of forecasts of adverse winter weather conditions throughout the state of Iowa, the Special Olympics Iowa State Bowling Tournament, scheduled for Saturday, November 21, in Cedar Rapids, Des Moines and Sioux City has been cancelled. It will not be rescheduled. The forecast continues to call for sleet, heavy snow and wind throughout the state on Friday and into the early hours of Saturday, with heavy winds continuing throughout the day on Saturday. This was not an easy decision to make. We did our best to carefully consider all of the information available, including feedback from our delegations, athlete family members and volunteers, and weigh the consequences of moving forward with the event versus canceling it. In the end, it came down to our commitment to your safety and to the safety of our athletes, coaches, families and volunteers. If you have any questions, please feel free to call the state office at 515-986-5520. In 2015, UnitedHealthcare has supported Challenge Days and the Healthy Athletes program as a Gold Level Sponsor, positively impacting thousands of Iowans with intellectual disabilities. UnitedHealthcare’s mission is “to help people live healthier lives.” We have operated health plans in Iowa since the 1980s, serving a wide range of Iowans, including those who get their coverage through employers, the armed forces and Medicare plans. We have served children in the Iowa hawk-i program since 2000. We are dedicated to promoting health for all Iowans in every stage of their lives. Thank you to all of our delegation managers, coaches and volunteers for submitting your Class A Volunteer Applications. The applications are being processed much smoother because of your help making sure all the application components are complete. Remember incomplete Class A Volunteer Applications will be held at the state office for three months. After that, the application will be shredded and you will have to resubmit a new application to volunteer. Applications may take up to 30 days to process, so please plan ahead when you need your credential. Enterprise – the company used to run background checks will be closed December 9-15, so no applications will be able to be processed during that time. If you need a credential, please submit your application prior to/after this date. Thank you for volunteering! Special Olympics Iowa programs could not exist without the generous volunteer spirit of so many Iowans! Volunteers are the mainstay of the Special Olympics organization. They fulfill a wide variety of positions including chaperoning, coaching, event management and fundraising. Volunteers also ensure that athletes receive quality training and competition. 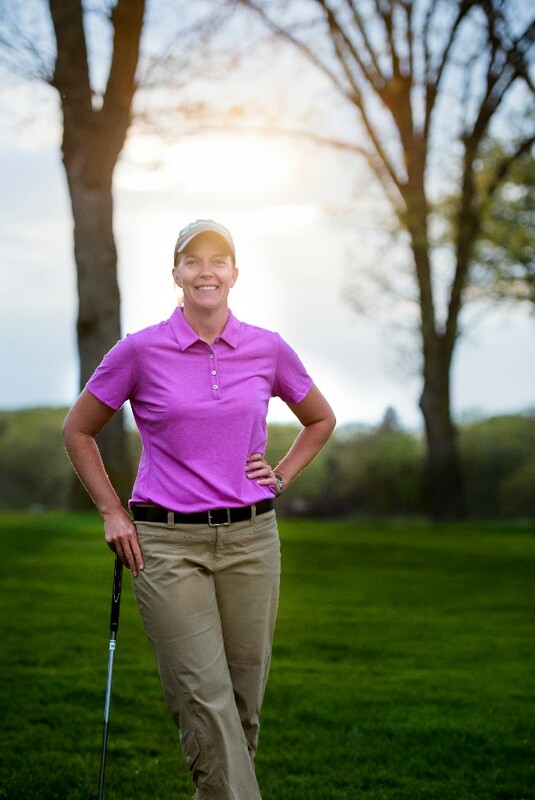 One such dedicated volunteer is Sara Bidney, the director of instruction at the Wakonda Club in Des Moines. Bidney was recently selected as the 2015 PGA Section Teacher of the Year and the 2015 Youth Player Development award winner. This marks the third time in six years that Bidney received the Teacher of the Year honor. She is the only professional to receive both awards in the same year and the only woman to receive both awards.